Purchase your Cognizance Tickets Today! 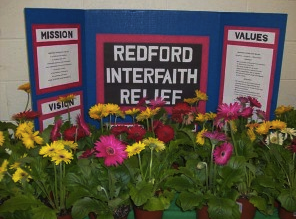 “Letters from War”, "Different Kind of Christmas"
Welcome to Redford Interfaith Relief! We invite you to look around and see the rich history of our organization, the amazing generosity of our affiliates, and how you can get involved in leading the charge against hunger in Redford Township.